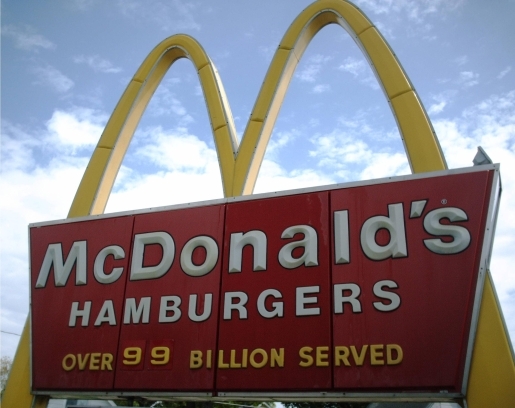 Bad news for fans of the dollar menu at McDonald’s. McDonald’s has announced that prices on some food items will go up in the coming months. How the news should be greeted depends on who you talk to. Economists fear the news, citing inflation fears, but for shareholders, it’s a sign of McDonald’s commitment to profitability and an economic recovery indicator. Given that McDonald’s went all of 2010 without touching prices, this is either a good sign for the world or a bad sign for the world, depending on who you listen to. In spite of not nudging prices skyward to match the changing times, things have been pretty good on the whole for McDonald’s. Sure, they lost Iceland, but they’ve gained a new giant McDonald’s in Texas and McDonald’s Asia is playing host to weddings and branching out from the food business. On the surface at least, things seem to look good for Mickey D’s. The clincher will be how customers react to higher prices for this first time in years. Will they continue to eat, or will they continue to look for bargains and move onto McDonald’s lower-cost items? Will they leave McDonald’s all together and eat somewhere else? The good thing about raising prices is that they can always be lowered again via sales.